Wherever you are on your journey from point A to point B and whatever the time, if you are an RACQ member, you can breath a sigh of relief knowing that you will receive 24-hour roadside assistance on behalf of RACQ, all year round. Not a member yet? Visit the RACQ website and sign up today. RACQ’s mobile mechanics average 32 minutes to get to you. 94% of vehicles are mobilised at the scene. With a network of over 700 rescue vehicles across Queensland, you’re never alone. Whether you’ve broken down or you are experiencing another type of emergency, with RACQ’s 24/7 network of over 700 rescue vehicles across Queensland and expertise in on-road vehicle mobilisation, you can breathe a sigh of relief knowing that a mobile mechanic is never too far away. Our RACQ roadside patrolmen are continually trained, staying up to date with the latest vehicles on our roads. Our RACQ mobile mechanics are ready to help with flat batteries, flat tyres and refuelling, as well as recovering locked keys; children and animals that are trapped in a vehicle. We carry the latest battery testers to determine if your battery needs to be charged or replaced, meaning you’ll never end up with unnecessary costs to pay. 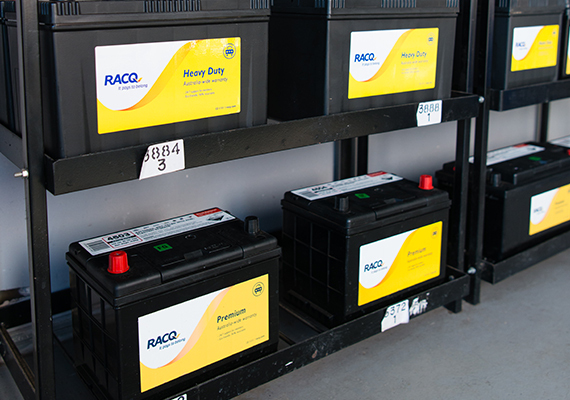 If your battery does need replacing, we carry RACQ batteries that are suited for most makes and models. Need roadside assistance? Call RACQ on 13 1905 now.